Crash Bandicoot N.Sane trilogy is the remaster I didn’t know I needed. Before you talk about Crash Bandicoot’s remaster, it’s important to talk about his legacy. 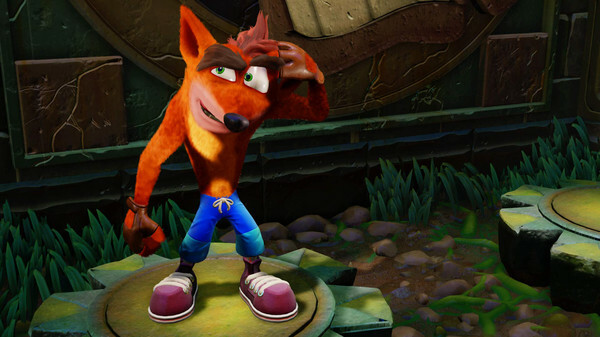 Excuse the dose of history, but Crash, the titular bandicoot at the heart of the franchise, was Sony’s attempt to create a platforming icon to rival Nintendo’s Mario or Sega’s Sonic. It was crucial for Sony, who had to provide a mascot for its brand-new console, at a time when everyone thought your console was only as good as its cartoonish platforming icon. 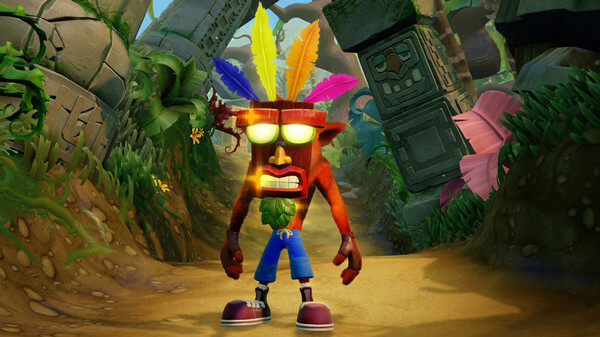 Crash was a success, and the first three games were on near-constant rotation in PlayStations around the world for a lot of the late-90s, with the original trilogy (Crash Bandicoot, Cortex Strikes Back and Warped) releasing in 1996, 1997 and 1998, respectively. It’s these games that have been reworked and rereleased here, and let’s start with the good news: for 3D platformers that was a pioneer for 3D games, the mechanics on show here have aged surprisingly well, and the trilogy’s update for the modern era delivers the same game, with just enough polish to make things feel fresh: lighting is tweaked and models are highly quality, while a variety of visual effects help cities to glow softly and jungle foliage to sway in the breeze. 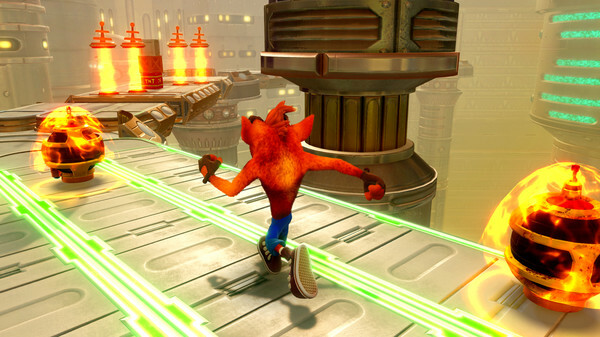 These visual updates certainly make the game look better, but they also have the added benefit of allowing Vicarious Visions, who oversaw the remaster of Naughty Dog’s original versions, to provide players with new visual cues for how to beat enemies or best tricky jumps. This is useful, because either the difficulty has been massively ramped up in the 20 years since the title’s original release or I’m just much worse at video games now – let’s assume the latter – and each of the three games here are phenomenally difficult, with several jumps making me go away for a walk. There are three games here, tucked away with a single offering, and the original Crash Bandicoot has fared the worst, creaking slightly as you might expect of a game designed mechanically 22 years ago. 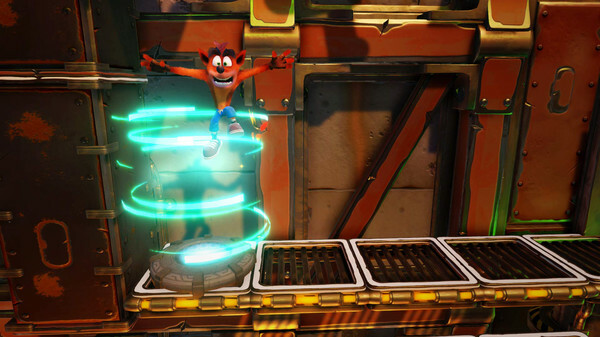 There’s a lack of movement options and abilities here, and the game is centered on the islands that Crash called home, meaning many of the levels have a similar aesthetic feel. 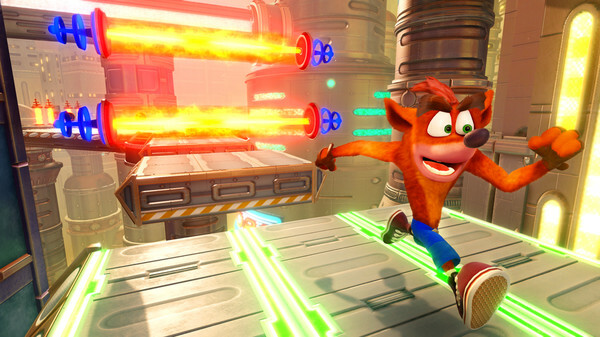 Vicarious has come in with a few quality-of-life impressions that were added in later games, like a box counter to help you ensure you have all of the boxes – valuable collectibles in the world of Crash Bandicoot – or even some time trials, but it’s clearly the worst game of the three. However, the second game, Cortex Strikes Back, stands head and shoulders above it. It’s still a remarkably hard game, but it feels like there’s a lot more going on, with a mix of interesting environments. Also, there’s a baby polar bear that you can ride, which would have been enough for us to give the game 100 per cent if we did scores. Warped, which rounds out the trilogy, isn’t quite as strong a game as Cortex, but has a lot more ideas. It’s here that you’ll get your hands on a bazooka that fires the game's apple-like Wumpa Wumpa fruits; you can double jump, do a better spin attack and the tiny animal you ride here is a tiger. It’s adorable. There are also swimming levels, which don’t work all that well. Then there are aerial levels with Coco shooting people down. Oh, and some racing levels, which were a precursor to 1999’s Crash Team Racing, sadly not included in this collection. All of these have aged poorly, often down to poor controls or weird pacing. Warped is interesting, but flawed, but stands proudly at No.2 on the podium of ‘good Crash Bandicoot games in the N.Sane trilogy’. Coco was playable in Crash Bandicoot 3 Warped, but in the remaster Vicarious has made her available to play everywhere. She has less personality than Crash, but she has her own set of animations, despite being mechanically identical. I played the game extensively on the PS4, and have dipped back in on the Switch and the PC to see how these versions fare, and I can only report positives. The Switch doesn’t quite look as sharp as the versions on the PS4 and PC, but it still plays without any technical hitches and performs well even when plenty is going on. Meanwhile, the PC lets the game play at 60fps, and provided you have a controller to plug in to your computer, it’s probably the best way to play if you’re worried about pushing pixels. N.Sane Trilogy is one of the finest platformers on current-gen consoles, barely touched by the ravages of age. Skip the slightly disappointing first iteration and there are two great adventures here, for fans new or old.